What if you could build a better world? Where would you begin? More than ever, we must come together to innovate and solve problems. In FIRST, you are part of a thriving community brimming with inspiration, creativity, and hope for a stronger, more sustainable future—one that’s built better together. 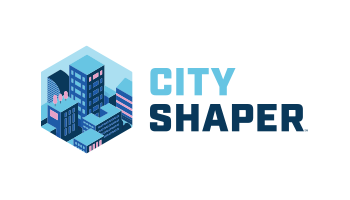 CITY SHAPERSM coming in August 2019. Young innovators practice imaginative thinking and teamwork. FIRST® LEGO® League focuses on solving real-world problems such as food safety, recycling, energy, and more using STEM concepts, plus a big dose of fun. Proven, verifiable impact! FIRST LEGO League’s positive impact on participants is gratifying and well documented. Over 87% are more interested in doing well in school, and 88% have more interest in attending college. The really cool thing about FIRST LEGO League is…all skill levels are welcomed and needed, technical or non-technical. Read more about resources, time frame, commitment, and skills required. FIRST LEGO League gives elementary and middle school students and their adult coaches the opportunity to work and create together to solve a common problem. What does it cost to participate? Costs for fielding a FIRST® LEGO® League team vary depending on what level of participation. A chance to shine! Each FIRST LEGO League season culminates with regional tournaments and championships where teams show off what they learned and invented, and compete with their robots. Some teams earn an invitation to FIRST LEGO League World Festival as part of FIRST Championship Houston or FIRST Championship Detroit, where teams from all over the world meet and compete. The FIRST LEGO League Global Innovation Award is designed to showcase the real-world, innovative solutions that FIRST LEGO League teams create as a result of their Project. Join the conversation and help #makeitloud! It's easy to stay up-to-date on what is happening within the FIRST® community. Find Teams & Events in your area. Our high-tech spectator events are a unique melding of STEM principles and exciting competition. Join us and experience the ultimate Sport for the Mind™. Events are free and open to the public. We’ve made it easy to access program resources. Download PDFs, graphics, training materials, and other helpful tools. FIRST Volunteers agree: it’s easy to get started, and impossible to stop! Whether you have a weekend to help, want to mentor for a length of time, have technical or non-technical expertise, there is a volunteer role suited to your unique interest.